Names can be fascinating personal and cultural markers. 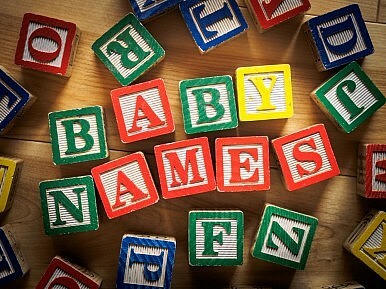 What parents decide to name their children may be a window into what they believe or simply a reflection of their tastes. Trends in naming sometimes reflect broader social shifts and Central Asia is not immune to such a phenomenon. Since independence, names have been a touchy subject in the region. The Tajik parliament recently began discussing new amendments — floated earlier this year — which would introduce new restrictions on the types of names parents can legally give their children. Specifically, foreign or Islamic-sounding names would be rejected by state registries. In March, Asia Plus reported that the Ministry of Justice was preparing a list of over 3,000 acceptably Tajik names. Since then, however, naming trends in the country have begun to shift toward more Islamic-influenced names — Muhammads and Aishas. Tajikistan is 90 percent Muslim and Islam has been the region’s dominant religion for all of modern history. But Islamic-style names were not necessarily common. That’s changed over the last decade. According to a 2010 report, “Approximately every fifth baby girl born in Dushanbe gets an Islamic name.” While the naming trend mirrors growing piety in Tajik society, authorities view it in the same light as other expressions of Islam — as a potential threat. The pressure to crack down on Islamic-sounding names runs in parallel with other initiatives to curb Islamic influence in Tajik society — bans on children attending Mosque, bans on women wearing headscarves in schools, reports of forced beard shavings, and not the least, the utter crushing of the moderate Islamic Renaissance Party (IRPT).